Your employer does not carry Workers’ Comp insurance. A defective product caused your injury. Your injury was caused by a toxic substance. Your were injured by your employer’s intentional, dangerous conduct. You suffered an injury due to a third party and may be able to receive both Workers’ Comp and financial compensation from the third party. That is why the experience and knowledge of The Boccardo Law Firm holds others accountable for work injuries. We understand the California Workers’ Compensation system and the law that protect workers. Damages for pain and suffering are not allowable under Workers’ Compensation. This includes future lost wages, damage to your vehicle and other non-economic damages. You cannot sue your employer or co-workers for the injuries you sustained while working, even if they are at-fault. 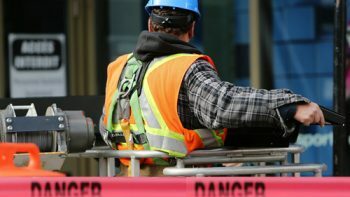 If your are working on a construction job site and you injured while working for a subcontractor, you may be able to bring a lawsuit against the general contractor or the property owner. That is because a general contractor has the responsibility to maintain a safe work environment. So, if your injury is the result of a safety or labor law violation, then you may also be able to bring a third-party lawsuit. In addition to your Workers’ Comp claim, you may also be entitled to pain and suffering from the third party. Common jobs requiring you to travel offsite include sales or home health workers. When working on someone else’s property, they are responsibility for your safety. For example, premises liability includes common injuries like a trip and fall, slip and fall or any other type of injury on their property. As a result, a third-party lawsuit would allow you to get compensation for the harm workers’ compensation does not pay for. Many people drive as part of their jobs. For example, truck drivers, delivery people, sales people, construction workers hauling materials and home healthcare workers all drive as part of their job. If you are on the job and get into a car accident and it was then other driver’s fault, then you may be able to hold the other driver accountable. Debilitating Workers’ Compensation injuries are financially devastating to a family. Out of work benefits may not even cover the monthly rent in Silicon Valley. Along with the emotional toll from financial stress, ongoing physical pain can break families apart. The Boccardo Law Firm aggressively works on behalf of injured workers because we understand the shortcomings of the Workers’ Comp. system. We are sympathetic to the rigors of injured workers having to jump through numerous unnecessary hoops for medical treatment. We will fight to ensure that you are fairly compensated for your injury if there is evidence of a third party claim. If you or a loved one suffers an injury while working in San Jose, the San Francisco Bay Area, or anywhere else in Northern California, contact the dedicated attorneys at The Boccardo Law Firm for a free consultation. Call us at 408-298-5678, we are ready to help.